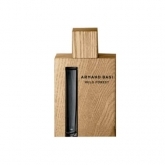 Armand Basi the brand had its start with Mercedes Basi in 1948 as a workshop in Barcelona producing high quality knitwear for the finest establishments in Spain . Sons Armand and Josep took over the business in 1958 and expanded operations to include a factory, acquired the rights to produce licensed wear such as Lacoste and moved the sale of their premium knitwear from department and concession stores to stand alone boutiques. 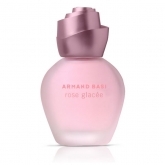 Armand Basi the brand came into existence in 1986 with the presentation of its first collection of ladies’ wear and since then, has expanded to include men’s wear, shoes, bags, accessories, watches, eyewear and fragrances. Its target group is middle and upper middle class young professionals aged 25 to 35 who believe in individuality and have a sense of urban chic and modernity. 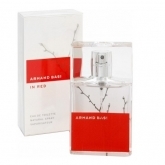 Fragrances were added to the offerings at Armand Basi in 1999. 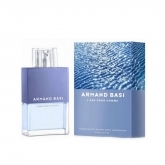 Its first scent, the men’s cologne Basi Homme, is a crisp yet rich aromatic fragrance that is perfect for casual wear. 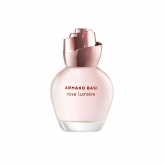 The companion women’s perfume, Basi Femme, is also suitable for casual wear and is a fruity floral with woody notes. 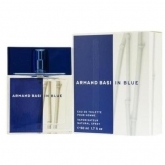 Other men’s colognes include Armand Basi which is a romantic woody and spicy scent and Armand Basi In Blue which is elegant, modern and sophisticated with warm wood notes yet still surprisingly crisp. 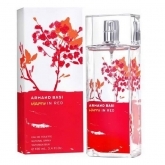 Women’s fragrances include Armand Basi In Red which is a floral, woody scent that has a kick of spice to give it crispness and the sensual and sparkling Armand Basi Lovely Blossom with its citrusy florals.